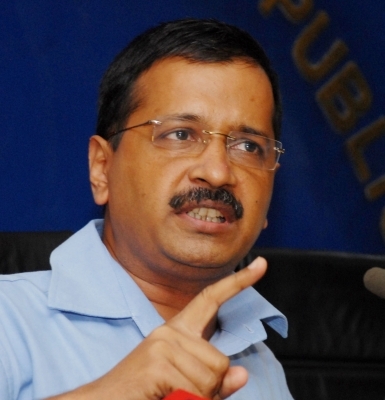 New Delhi July 13 (IANS) Delhi Chief Minister Arvind Kejriwal on Friday demanded a CBI probe into alleged irregularities in the Delhi Metro Airport Express Line contract with Reliance that have placed a Rs 5 000-crore liability on the Delhi Metro Rail Corporation (DMRC). In a letter addressed to Union Home Minister Rajnath Singh Kejriwal alleged that DMRC "modified and wilfully manipulated" the concession agreement so as to give an "unfair and unwarranted advantage" to the concessionaire (Reliance) at the expense of public exchequer. Kejriwal further alleged "serious multiple defects and lapses" in the entire civil construction of the Airport Express line by the DMRC which led to the termination of the agreement by the concessionaire. Deputy Chief Minister Manish Sisodia in his brief to the media said: "15 051 cracks were found in the Metro tracks and 149 defective twists were found in the girders." Taking cognizance of the matter Sisodia also said that "this liability could increase Metro fares again prompting the residents of Delhi to opt for buses and other alternatives which will increase the load on the roads". Based on the Delhi Dialogue and Development Commission s findings Kejriwal said in the letter that the Airport Express line which was originally designed to run at a speed of 120 kmph reduced its speed to 50 kmph due to "defects in civil construction". "An independent criminal investigation is therefore warranted to bring the offenders to book. A high-level inquiry by experts is also necessary to establish the defects in civil construction with a view to rectify them so that public safety is not compromised " he said. Fearing that the DMRC might raise its fare again in order to pay over Rs 5 000 crore to Reliance Kejriwal said the Delhi government is examining if it can "intervene in the proceedings at the high court to challenge the award for its contravention of public policy". He also sent a copy of the letter to Minister of Housing and Urban Affairs Hardeep Singh Puri "for necessary action at his end".